William (Bill) Cherry is a seasoned and highly successful healthcare executive with a 20-year track record of successful management experience. Bill has worked for consulting organizations, academic medical centers, community hospitals and physician groups. 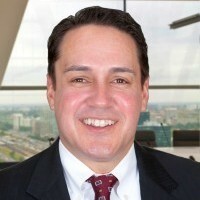 Bill has assisted numerous clients in educating, evaluating, structuring and implementing alignment arrangements. Many of the engagements have been contentious circumstances where Bill’s ability to listen, educate and generate consensus has been demonstrated. Bill has a long record of generating sustainable and successful alignment arrangements. Bill has worked with numerous clients (hospitals and medical groups) to assess, develop and implement clinical programs. He is experienced in the evaluation, development, implementation and management of clinical programs including physician clinics, ambulatory facilities and inpatient services. In these areas he has demonstrated the ability to work with diverse groups of individuals, communicate effectively, thinking strategically and managing resources. Bill has a B.A. in Public Affairs and Administration from the University of Oklahoma, Norman, Oklahoma and a Masters of Health Care Administration from Washington University in St. Louis, Missouri.